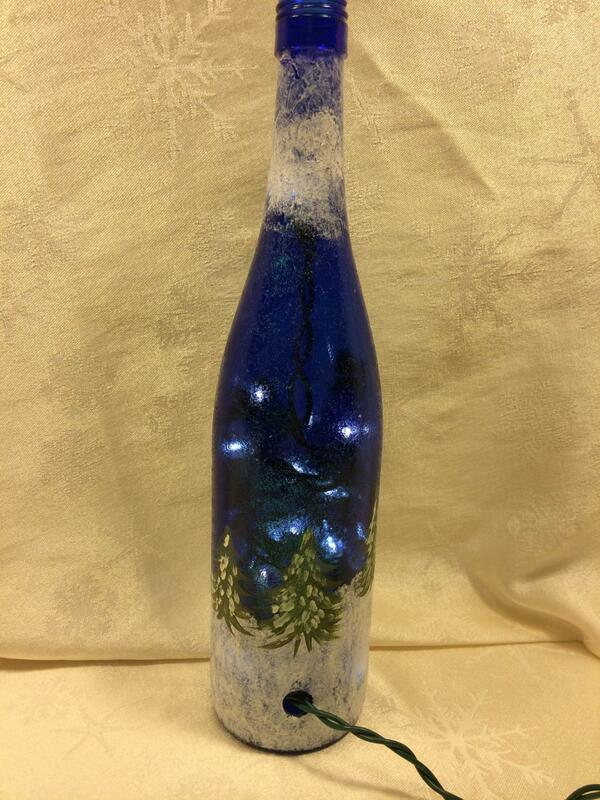 This is the small bottle group - 750ml wine bottles. The pictures below are a representation of the style. 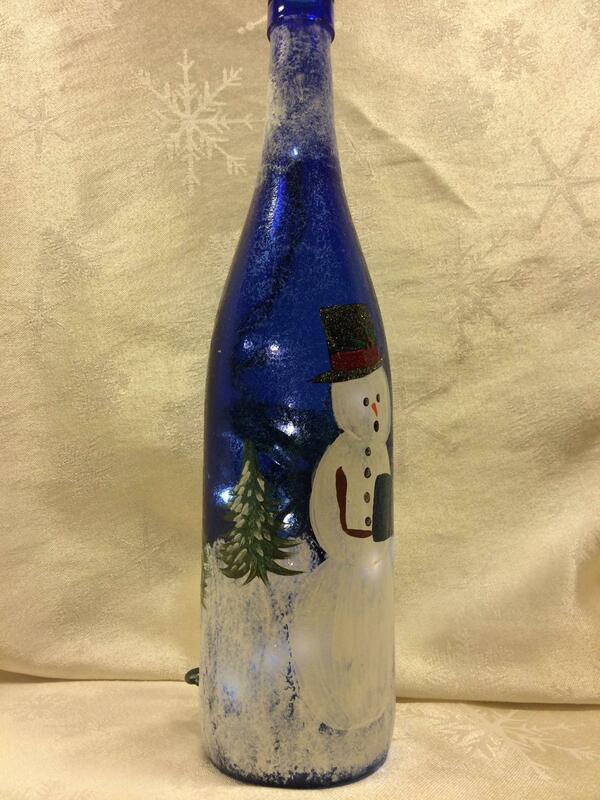 When you order one, I will email pics of the exact bottle I will send to you for your approval. If I have more than one of a style available, I will send more than one pic for you to choose from. 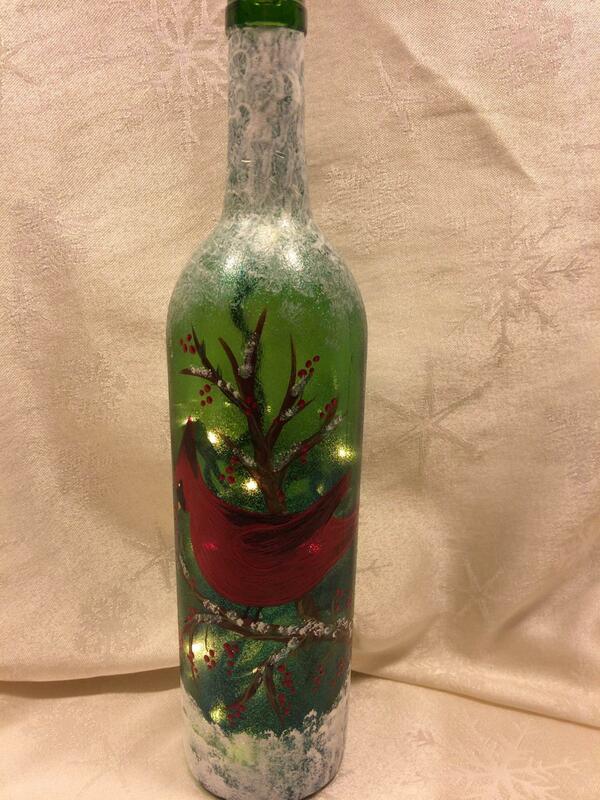 These are fun, lighted bottles to use anywhere you need a bit of light or sparkle! I have sold them to use in the kitchen, in the open space above the cupboards or to decorate a counter; in a foyer to add a bit of color and light; in living/family room to use as a night light....Wherever you want, these bottles add a beautiful touch of color and light! The lights are inexpensive, Christmas-style lights, and while some strands will last for many months, others need to be replaced after a short time - the same as with Christmas displays. They are very easy to change out and an instruction sheet will be included. I find my lights at Hobby Lobby, Michaels, and various other stores. Click on a photo below and a slide-show window will open and the pictures will be larger to view. 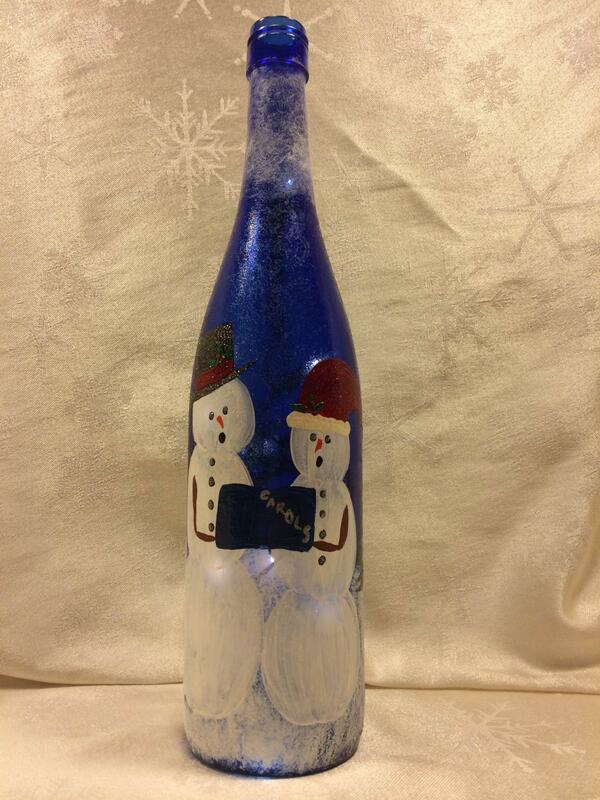 Wine bottles have NOT been heat-set.